With the uprising of Social Media Networks it has become essential for all businesses to reach audiences in creative ways through social media and integrate these tools with their websites and online marketing campaigns. How can social media marketing increase my business? Each social media marketing campaign is different and completely customised based on the line of business, industry and how you operate. Social Media Marketing has become so powerful that any business without a social media campaign is generally considered to be out of date. By having a social media campaign your audience will have more trust in you as they will see you as a cutting edge company. Through social media you can build relationships with your customers allowing you to have open discussions with them which also enables your customers to become loyal to you. Retention is key to any business and social media is a great tool that can make this happen. After all, we all know that loyalty is what can help a business to grow. You will be able to get real feedback from customers as they talk about your products or service in Social Media networks. This can greatly help you to improve areas of your business, products or services which ends up with more customer satisfaction in the long run. Social media can also offer the benefit of "word-of-mouth" advertising as we would integrate tools allowing your website visitors to share your page with family, friends and associates. 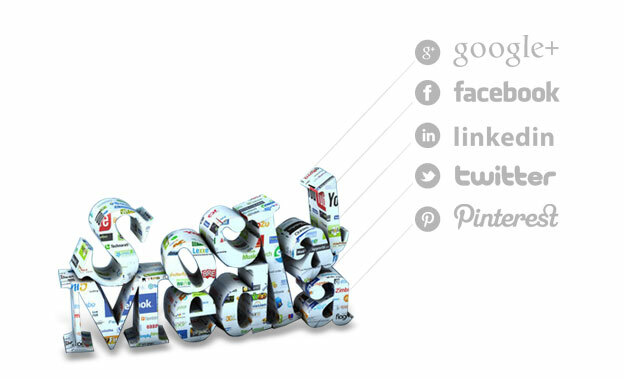 Add Social Media Buttons and make them clearly visible on your website. Update the buttons regularly so that they are not out of date. Integrate Social feeds directly on your website such as an Activity Feed which would show new developments in your business. Add Share buttons for your product and service pages so that customers can recommend your product or services to family and friends. Use Account Login or Registration. For example, Login with Facebook, can allow a customer to join or login quickly as their personal information will be pulled for Facebook and this can be coded to show up on their Facebook page as "I have just logged onto XYZ Company" which turns into a free advertisement of your website to their Facebook friends. Have a weekly or monthly poll integrated with Facebook. This can be embedded into your website and encourage social media activity. Develop a game or app that can go viral on Facebook which can generate alot of incoming traffic on your website. There are many other creative ways that we can completely customise based on your business needs. Get in touch with us today for more ideas. I would like to receive monthly newsletters from Middle East Infoway containing ideas on how to grow my business online. Rank higher than competitors in the search engines such as Google when people are searching for products or services that you sell. Keep in touch with your customers by email on a regular basis. We can help to automate newsletters and other email marketing campaigns.